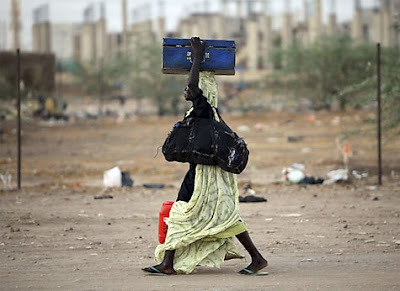 A laborer returns home in Khartoum, Sudan. SH...ALWAYS GETS DONE...it's just I/O. If only we really cared. Wonder what's in the bag and the trunk.